How did you get involved with yoga outreach? It was through a friend who was volunteering with Yoga Outreach after taking the core training. 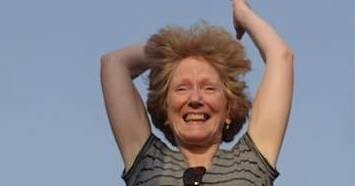 I had just completed my teacher training and wanted to volunteer with Yoga Outreach. What were your thoughts of the Core Training? It was outstanding …one of the best trainings that I have done. The space that Nicole created to learn in was amazing, and the information taught made sense; it really applies to so many situations. What was your first impression of Yoga Outreach? My first impression of Yoga Outreach was through the Core Training, and that was phenomenal. The support I received as a volunteer with Niki was amazing. At the time I began volunteering I was working full-time and found most of the need for volunteers was during the day. There were evening classes with youth, but I was hesitant because I thought the students might prefer to work with someone younger. Niki encouraged me to give it a try, and I did. The Red Fox Program with youth was my first program with Yoga Outreach. One of my first memories of the classes with youth was to experience the stillness of Savasana and the energy created between myself and the students. It was heartwarming to see them be perfectly comfortable, still and at ease with themselves. What do you wish other people knew about Yoga Outreach? How amazing the Core Training is; it will serve you well! Volunteers are well supported , and the work that you will do is very rewarding. You learn a lot from it. For example: I was working with youth (involved with the justice system) in another program and as usual I asked students what they want to do tonight (in terms of active relaxing). One student said that they had a court appearance the next day and that they needed to settle themselves for it, and that they would like to do something like meditation. To see the self awareness that these youth carry, and their capacity to know what they need is remarkable. It also continues to teach me the potency of the practice. What would you say is your strongest belief about the work that you do with Yoga Outreach? That there is a basic goodness in everyone. For whatever reason, these kids have ended up where they are, and I want society to give these kids every opportunity to be successful. This is my way to support them. These children could be anybody’s – our nieces, nephews, neighbours. This is one of the most enjoyable and rewarding things that I do, and it reminds me to be adaptable. Classes don’t always go as planned and sometimes I only get two students in a class and they are done in 20 minutes, and at other times they aren’t ready to go after an hour, and they share aspects of their experience with me in conversation. What would you tell someone who is thinking about volunteering or donating to Yoga Outreach?  Yoga Outreach is one of the most worthwhile organizations to give to whether that is financially, volunteering or some other way. Yoga Outreach is the little engine that could – it’s a small organization that does meaningful work. And, once you are part of the family, you are always part of the family.